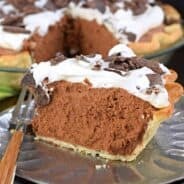 Using a Pillsbury pie crust as the base, this rich and delicious Peanut Butter Mousse Pie will be gone in no time! Don’t forget the Dark chocolate ganache drizzled on top! You guys. This Pie. 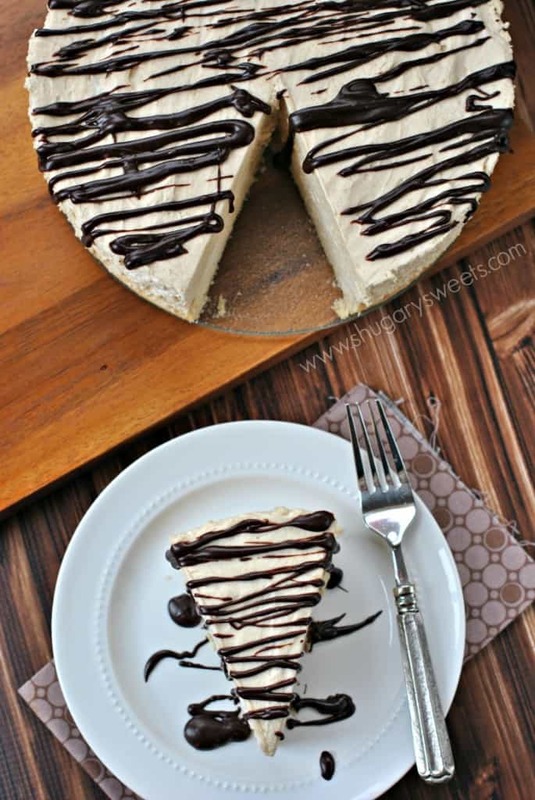 This gorgeous Peanut Butter Mousse Pie has been on my mind since I made it. Last year I made this Drunken Cherry Chocolate Torte, and the year before I made this Chocolate Hazelnut Mousse Pie. I have had this peanut butter version in my head for two years now. TWO years of dreaming about this very pie. And with Valentine’s Day right around the corner, I’m thinking this is going to be the perfect gift! Start by using a refrigerated pie crust. If you prefer to make your own homemade pie crust, that’s fine too! 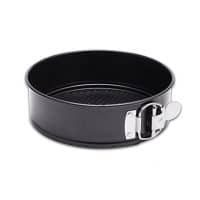 Unroll the crust and press it into the bottom of a 9-inch springform pan. Poke the crust with a fork and bake according to package directions for a single crust recipe. Set aside to cool. Next, in a small saucepan add cold water. Sprinkle the unflavored gelatin onto the water and allow to bloom. This means allow it to absorb the water for about two minutes. Heat the saucepan on low and whisk the gelatin water for several minutes until completely absorbed and dissolved. Remove from heat. In a large mixing bowl, beat cream cheese with peanut butter. Add gelatin mixture and beat for two minutes. Set aside. In a clean, dry mixing bowl, beat heavy cream with sugar on high until soft peaks form (this may take several minutes). Fold in peanut butter mixture and combine completely. Pour over cooled crust and refrigerate several hours or overnight. To remove springform pan, use a plastic knife and run it along the edges. Release spring and lift up. Pie should be set up nicely on plate. If making ganache, combine chocolate with heavy cream in microwave safe bowl. Heat for 30 seconds. Stir. Heat an additional 30 seconds and stir until smooth. Drizzle over pie when serving. Best eaten within 3 days. 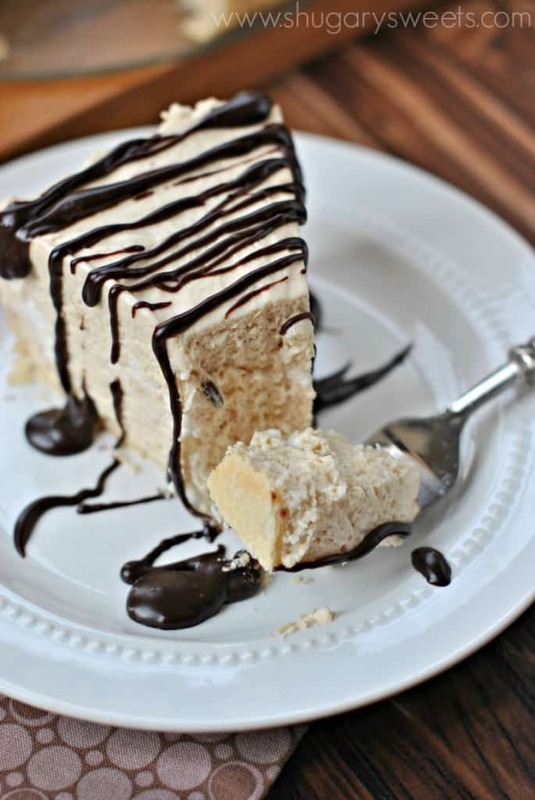 Can you freeze Peanut Butter Mousse Pie? I have not had good success freezing this pie. The texture is quite different after freezing, and it’s not as firm. 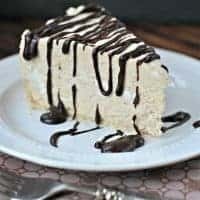 This dessert is best when made the day before and eaten within 3-4 days. This Dulce de Leche Banana Cream Pie recipe has it all! Graham Cracker crust topped with dulce de leche and bananas with a no bake banana cheesecake filling! Love Peanut Butter? Here are some of my favorite recipes…. 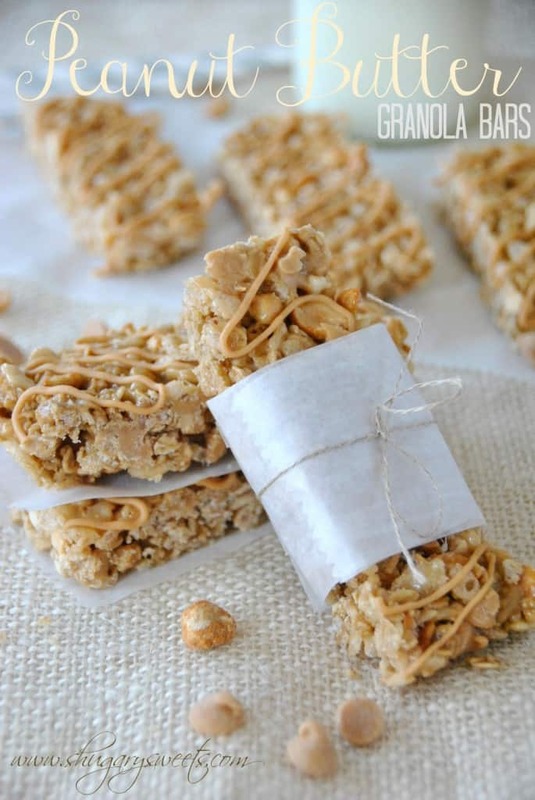 More Peanut Butter recipes from some of my favorite blogs…. 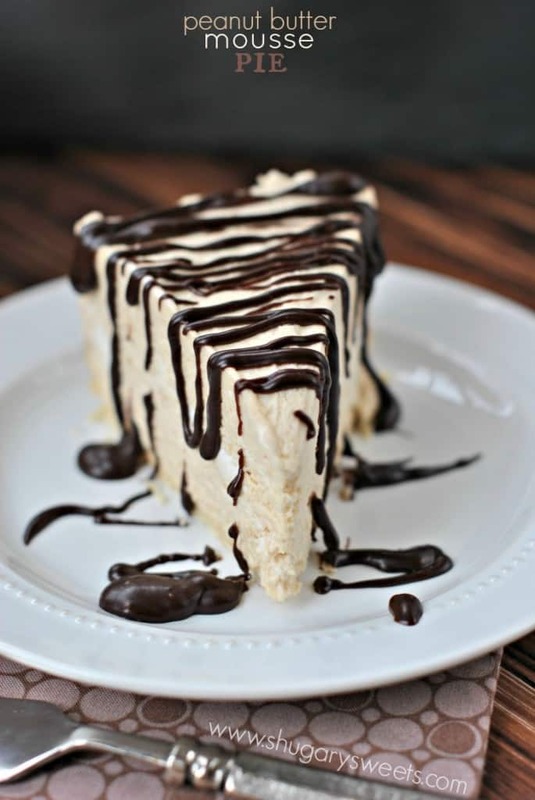 Using a Pillsbury pie crust as the base, this rich and delicious Peanut Butter Mousse Pie will be gone in no time! Don't forget the Dark chocolate ganache drizzled on top! Unroll pie crust and press into the bottom of a 9inch springform pan. Poke with a fork and bake according to package directions (for single crust recipe). Set aside to cool. For the mousse, pour cold water into a small saucepan. Sprinkle with gelatin. Allow to bloom (absorb water) for two minutes. Heat saucepan on low and whisk gelatin water for several minutes until completely absorbed and dissolved. Remove from heat. In a large mixing bowl, beat cream cheese with peanut butter. Add gelatin mixture and beat for about 2 minutes. Set aside. In a clean and dry mixing bowl, beat heavy cream with sugar on high until soft peaks form (several minutes). Fold in peanut butter mixture and combine completely. Pour over cooled crust and refrigerate several hours (or overnight). To remove springform pan, use a plastic knife and run it along the edges. Release spring and life up. Pie should be set up nicely on the insert. For the ganache, combine the chocolate with the heavy cream in a microwave safe bowl. Heat for 30 seconds. Stir and heat an additional 30 seconds. Stir until smooth. Drizzle over pie. Serve immediately or return to refrigerator until ready to serve. Best eaten within 3 days. ENJOY. 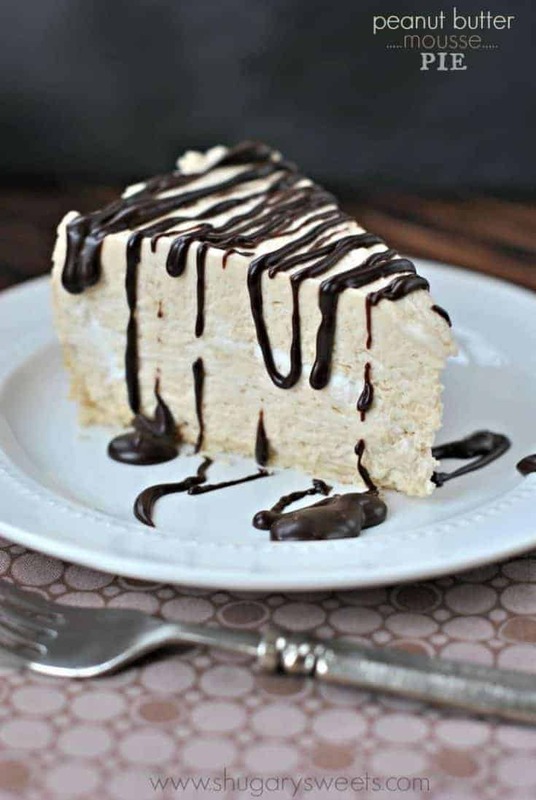 I love peanut butter, this pie looks amazing!! Should the pie crust go up the sides too or just the bottom? Can’t wait to try this! We love peanut butter pie in our house! This mousse version looks delicious! And the ganache on top?! Wow! Poor pie!!! It’s ok pie, you’re beautiful and delicious and deserve to be enjoyed!!! 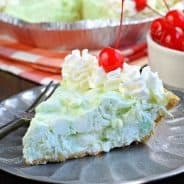 How in the world could you forget about such an amazing pie? I would be in the garage face planting in it for sure!!! I love how fluffy and amazing it looks!!! OK, thank goodness someone else feels bad for the ingredients when they have a recipe fail! Never would have guessed I’m not the only one. Also, this pie? Worth every bite! Oh my… I can’t even… this is too amazing <3 It looks so fluffy! Whoa-this has my name written all over it! Please tell me you saved me some? 🙂 Pinned! 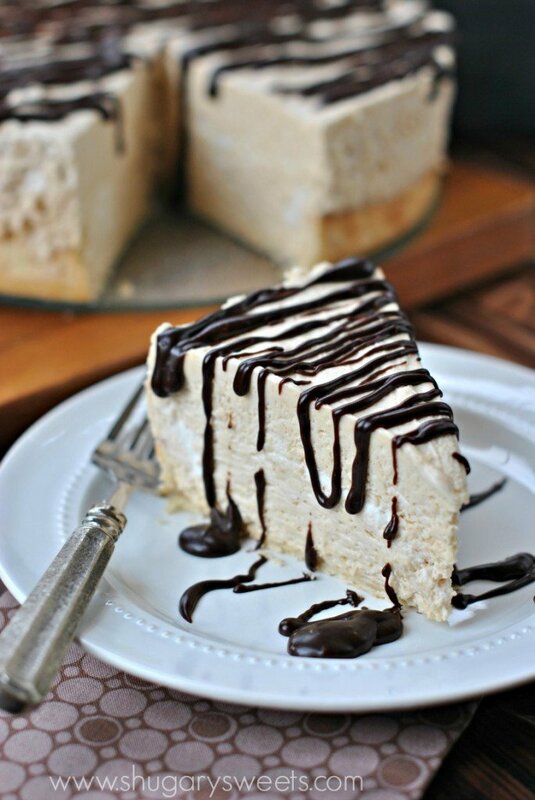 This pie looks amazing that fluffy peanut butter mousse and that lovely chocolate drizzle! Ummm, dying over this pie! Looks perfect and dreamy! This looks out of this world delicious! And all your photos are beautiful. Pinned! Thanks Mary Frances for pinning!!! What a gorgeous pie!! It looks so light and creamy! Yum! Do you think I could freeze this pie??? 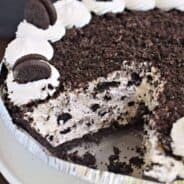 Would an Oreo cookie crumb base work too? This looks amazing! So sad! I just made this and it turned out lumpy. Mousse is all about texture, so I don’t think it’s salvageable 🙁 What did I do wrong? I noticed the gelatin foaming while I beat it in the saucepan, did I cook it too long? Hmmm, it definitely shouldn’t be lumpy! The gelatin will thicken, but shouldn’t foam. Just get to the point of dissolved. Can I omit the gelatin or substitute it with something else? Hai can I omit the gelatin or substitute it with something else? The gelatin helps stabilize the mousse! Oh gosh, this looks so incredible! I hardly ever bake or make with peanut butter because we have an allergy in the house, so that means I have to make two desserts, one peanutty, one not. I might have to just go ahead and make that sacrifice in the very, VERY near future for this one. Ganache- by dark chocolate, just like a candy bar or dark baking chocolate? Sorry, probably a dumb question. 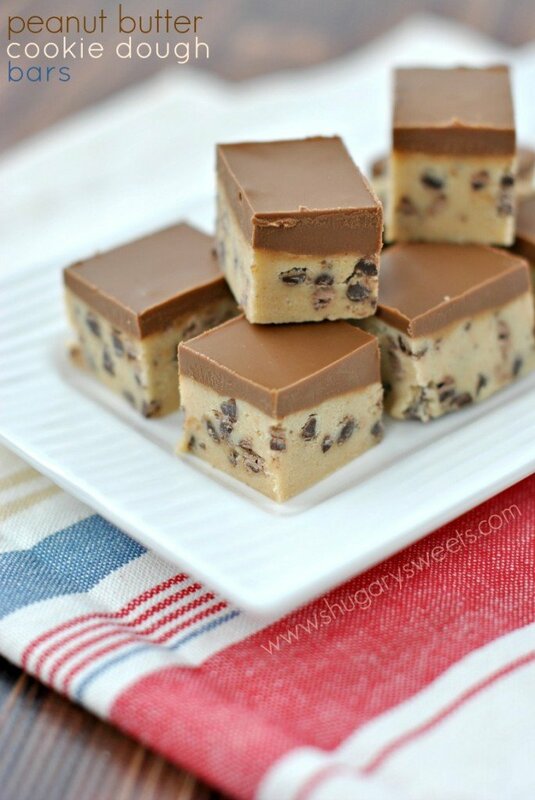 I either use Ghirardelli candy melts (they taste amazing), or Ghirardelli chocolate chips (dark)…or if I have any on hand, a good quality baking bar…. All of the Recipes Look so great and yummy to try them out one or two a month for a special Treat !! This pie is literally my dream pie. I love it so so so much. I can’t wait to dig in! It looks so amazing! 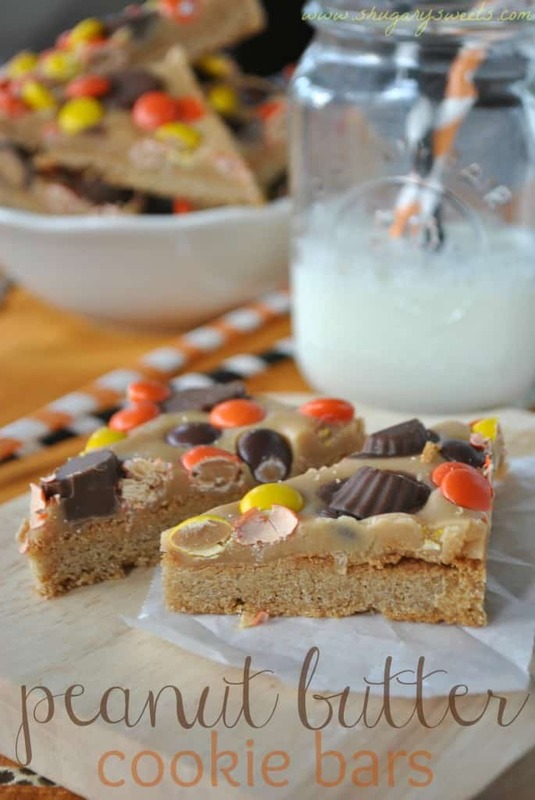 I love all things chocolate and peanut butter…can’t wait to make it this weekend! 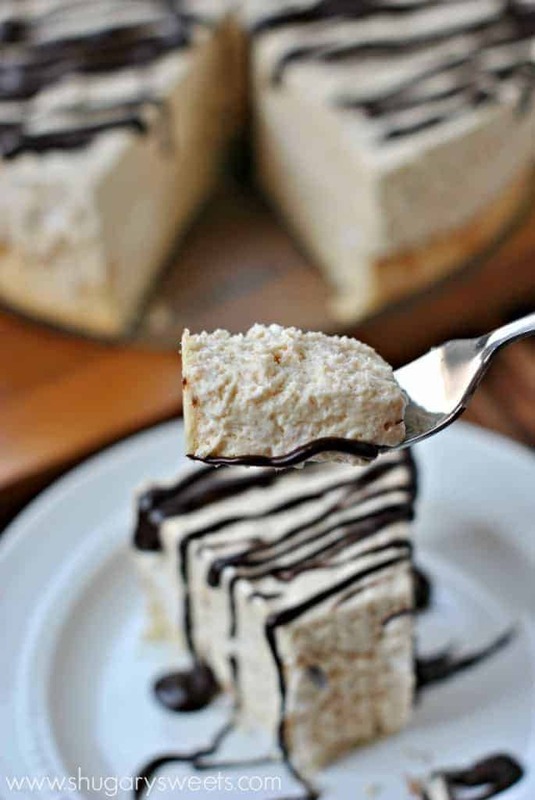 I’m all about anything with peanut butter and this mouse pie is AMAZING!!!! Pie crust is my nemesis so I’m so glad I can use store-bought here! This recipe looks crazy good and I can’t wait to try it SUPER SOON! What an incredible recipe! My family loves anything peanut butter. I’ll be making this over and over again!